Share videos with Disney of your kids repeating quotes from the Finding Dory movie for a chance to win a trip to Monterey Bay for four to visit the famous Aquarium or other great prizes! GRAND PRIZE (“Grand Prize”): Grand Prize winner will receive a 4-day/3-night trip for the Grand Prize winner and up to three (3) guests (collectively, “Group”) to Monterey Bay, CA (“City”) to visit the Monterey Bay Aquarium (the “Trip”). Trip consists of: roundtrip coach air transportation from a major commercial airport (as selected by Sponsor) near Grand Prize winner’s legal U.S. residence (as applicable) (“Airport of Origin”) to the San Francisco International Airport; car rental. Total ARV of Grand Prize: up to $5,114.39. 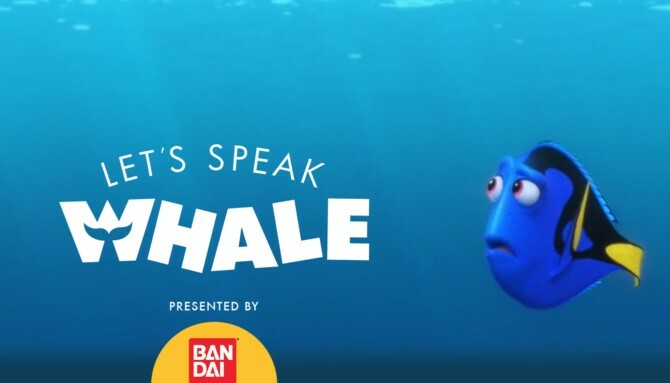 TWENTY-FIVE (25) WEEKLY PRIZES (“Weekly Prize”) (Five (5) per Weekly Period): Each Weekly Prize winner will receive a Bandai prize pack which shall include assorted Finding Dory playsets, interactive toys, feature figures, plush, and/or bath toys from Bandai America Incorporated. Contents of each Weekly Prize will be determined by Sponsor in its sole discretion. Limit of one (1) Weekly Prize per person/family/household. ARV of each Weekly Prize: $75.00-100.00. HINT: You do have to be a registered member but if you aren't already you can become one at no charge. See the rules for details. This Sweepstakes ends on 07/12/16 and you can ENTER WEEKLY to win.